Welcome to the San Juan Islands and Canada's Vancouver Island, where the summer sun shines, the sea glistens and the pace of life slows. 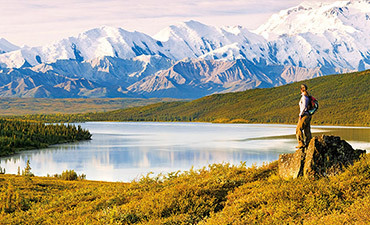 Find your rhythm biking along quiet country roads, spend time kayaking in peaceful inlets and relish hiking amid old-growth forests. 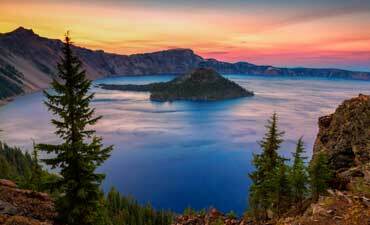 A hidden gem of the Pacific Northwest, this natural playground is perfect for an outdoor adventure. Keep your eyes peeled on our wildlife cruise—the chance to spot whales from the open water is a thrill! 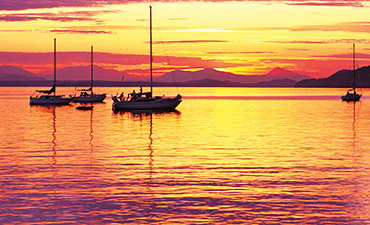 Day 1 Ferry to Orcas Island for a fantastic day of hiking around Moran State Park, a nature-lover's paradise of 5,000 wooded acres | Enjoy a bald eagle's-eye view from atop Mount Constitution where you can spot the San Juan archipelago, Mount Rainier, Mount Baker and the Olympic Range | Kick back and watch the sunset from the porch at our bayfront resort. 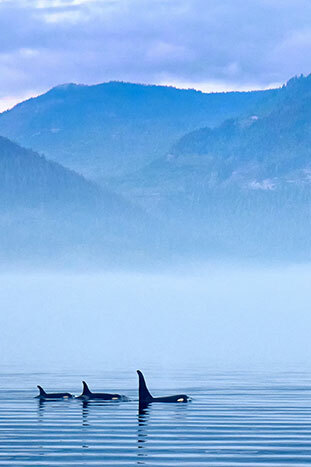 Day 2 Look for minke whales and majestic orcas during our wildlife-watching cruise with a local naturalist | Spin past secluded bays and driftwood beaches on San Juan Island | Enjoy waterfront dining at the charming Roche Harbor Resort. Day 3 Bike along San Juan's stunning western shore to a bluff with vistas of Haro Strait and enjoy a thrilling descent to South Beach | Pause in False Bay to look for sea creatures in the tide pools | Sea kayak through peaceful inlets—you might spot harbor seals or otters napping in the kelp canopies. Days 4-5 Oh, Canada! 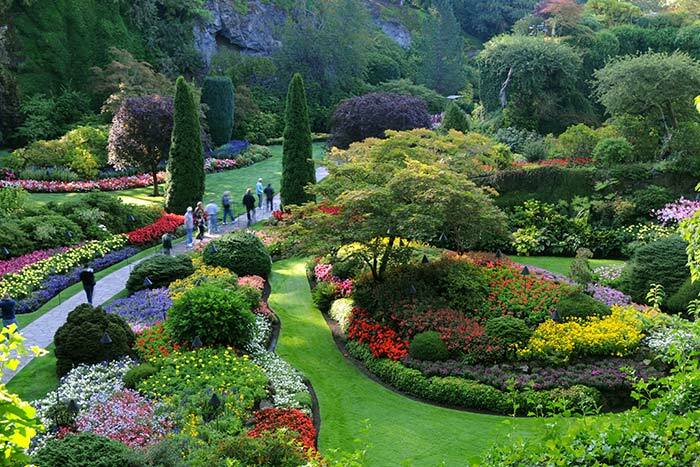 This is island-hopping at its best | British Columbia brings a whole new dimension to your northwest adventure | A hike on Mount Work offers striking views of Vancouver Island, the Olympic Mountains and the surrounding Gulf Islands | Immerse yourself in Victoria's old-world charm during a walk along the waterfront | Feast your eyes on world-renowned Butchart Gardens, featuring 55 acres of exquisite flowers and plants. Day 6 ​Greet the morning as you paddle your kayak across a deep glacial fjord | Admire the rich blue waters of the Salish Sea as we ferry across the international border and return to points south. From $3,299 - $3,449 pp dbl. occ. 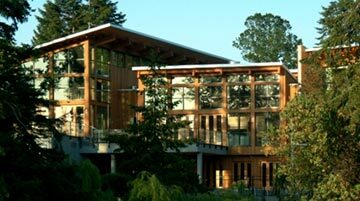 Note: The San Juan Islands' landscape is characterized by constant rises and valleys. The continuously rolling terrain can make the routes, which include sections of chip-sealed pavement, feel more challenging than the mileage may suggest. 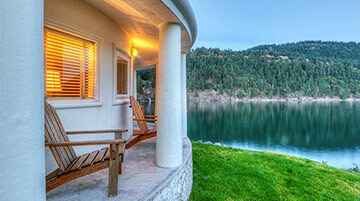 On this trip featuring Premiere Hotels, you can count on the best lodgings San Juan Islands has to offer. In fact, the hotels we've chosen in this region have higher retail room rates than those offered by any other active travel company—even when their trips cost more. 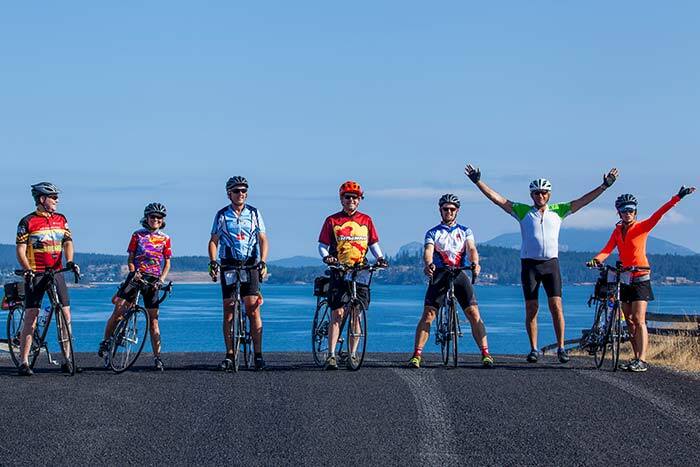 Backroads has the best-qualified people to lead your trip in San Juan Islands, and our guests back that up, rating our Trip Leaders an average of 9.75 out of 10 for all-around quality of performance. Get the facts (and no fluff) on how we recruit and develop the very best people for your trip. Coordinating multiple activities throughout a single day can be tricky, but with Backroads you'll never know it. 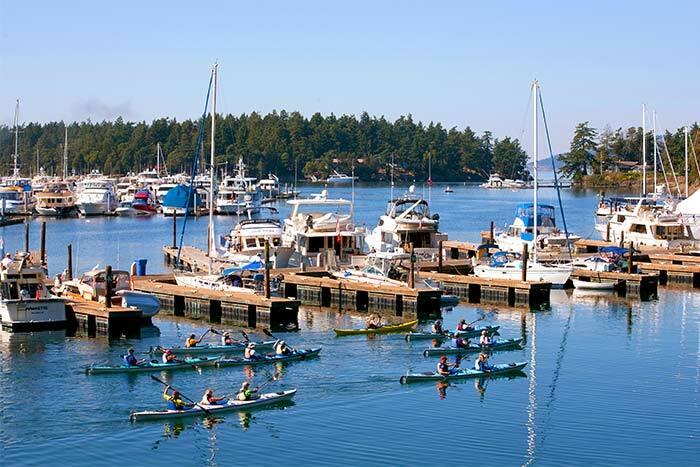 When you explore San Juan Islands with us, you switch activities seamlessly without missing a beat. We invented the multi-adventure concept, and we're constantly adding new dimensions and fine-tuning the experience to make it even more enjoyable. 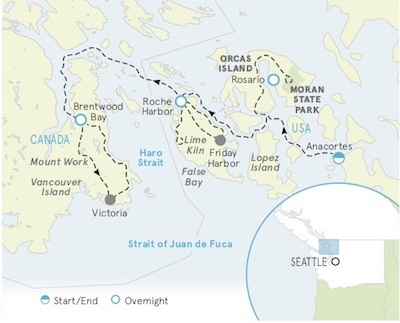 In San Juan Islands you head off each morning after choosing among several expertly designed routes—all with detailed directions, mileage and shuttle options. Unlike trips with one fixed daily route (or worse, one guide that everyone's obliged to follow), you're free to enjoy the best of the region at your pace, stopping wherever you want to explore further. We design and support our San Juan Islands trips to suit mixed abilities and varied interests—so you can set your own pace, then change things up as the day unfolds. And all guests are free to do the same, traveling together or apart, with no one cramping anyone else's style. Which sounds easy in theory, but it's hard to pull off. Here's more on how we do it. With Backroads you won't end up with kids on what you thought was an adult trip; we have exclusive departures for families, so they're off having their own adventures. 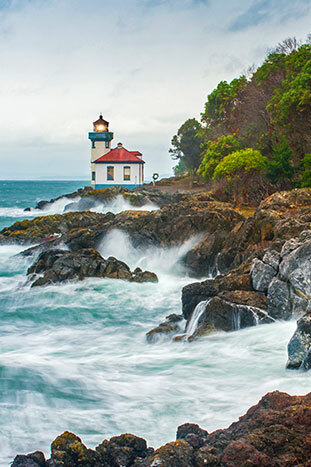 As you browse our unrivaled selection of trips and dates, you can count on finding a trip in San Juan Islands that's geared exclusively to your choice of traveling companions.